7:54 PM A prominent leader in the homeschooling movement has been defrocked. People are asking, “What should be done?” Paul’s answer is: “restore him” (Gal. 6:1). Help him confess his sins and find forgiveness in Christ. Then welcome him back into the fellowship. “One test of true spirituality,” writes F. F. Bruce in his Galatians commentary, “is a readiness to set those who stumble by the wayside on the right road again in a sympathetic spirit.” Like setting a broken bone, the process is bound to be painful, but the sooner the bone is set the sooner the healing can begin. This is no time for anyone to feel self-righteous. Being harsh or judgmental is excluded. But this is also no time for rationalizations. My prayer is that my brother, having been caught in a long series of trespasses, will not run from the truth but rather embrace it. I pray that he will submit himself to the loving discipline of God and his church and make restitution to the people he has hurt. And may we all remember: actions have consequences. This love I cannot understand. Of thorns, that He wore on His head. Let’s continue to pray for a powerful work of the Holy Spirit in the church in Ethiopia in the days and weeks to come. 7:30 PM Here’s a good discussion of the latest attack on the doctrine of grace, the so-called “Federal Vision.” All I can say is, What do people do who do not rely solely on the grace of God in their lives? I could not make it through a single day without it. This received text contains undoubtedly all the essential facts and doctrines intended to be set down by the inspired writers; for if it were corrected with the severest hand, by the light of the most divergent various readings found in any ancient MS. or version, not a single doctrine of Christianity, nor a single cardinal fact would be thereby expunged. . . .If all the debated readings were surrendered by us, no fact or doctrine of Christianity would thereby be invalidated, and least of all would the doctrine of Christ's proper divinity be deprived of adequate scriptural support. Hence the interests of orthodoxy are entirely secure from and above the reach of all movements of modern criticism of the text whether made in a correct or incorrect method, and all such discussions in future are to the church of subordinate importance. Source: Robert L. Dabney, "The Doctrinal Various Readings of the New Testament Greek," in Discussions by Robert L. Dabney: Volume I: Theological and Evangelical, edited by G. R. Vaughn (Richmond, Virginia: Presbyterian Committee of Publication, 1890), pp. 351, 389. Nice to have you back online again. Just wanted to let you (and any of your students) know that I am organising an open-source, online NT textual commentary. The aim of the commentary is to give voice to the diversity of textual opinion and allow people to respond to others' viewpoints and put forward different ideas in a respectful environment. My comment: I hope all of you will check out this site and consider contributing to it yourselves. I'm happy to see you reference the wonderful book of Hebrews. I think it is one of the most UNDER-taught books in the N.T. It's one of my favorites along with Phi. and Romans. One of my favorite quotations is Phi. 2:9-11. But what I wanted to say is that when a preacher or teacher says he will be using Hebrews, you can bet your last bird dog that 99.999999% of the time, he will be using Heb. 11. I think that must be the only chapter that is taught in most seminaries. And the whole book should be the centerpiece of NT teaching in my opinion. 6:33 PM It's sad but true but pop culture has invaded Ethiopia. Becky spent several sessions counseling young ladies on our recent trip, and a big topic was modest clothing. Many of them had never thought about why they wore jeans before. It was good to see their positive response to Becky's Bible teaching. Personally, I think young ladies look absolutely beautiful in dresses. 6:14 PM Been a busy day here at the farm. We put up about 400 feet of woven and barbed wire fencing along the back property line. The weather has been very mild so we worked in short sleeves. I am tired, hurting, and very happy. Working outdoors is good for the soul. Right now I've got a stack of books from the library I'm trying to work through. I'm also trying to write a response to the recent defrocking of a Presbyterian pastor. Becky has been hard at work preparing a video clip and some pictures for our Ethiopia presentations that begin this Sunday. We will be speaking in 10 different churches in the next 8 weeks. Still haven't gotten a ride in on Trav yet, but farm work is more important these days. I used to be able to do both, but that was several years ago. The gentleman does not needlessly and unnecessarily remind an offender of a wrong he may have committed against him. He can not only forgive; he can forget; and he strives for that nobleness of self and mildness of character which imparts sufficient strength to let the past be put the past. 7:50 AM Is cremation a legitimate option for a Christian? Rodney Decker recently posted an essay on this topic (.pdf). This is a great aid for anyone needing to work through this issue. 7:43 AM Monday morning shout-out to Brother Logan Carson and the congregation at Olive Branch Baptist Church in Wake Forest, NC. I had the privilege of speaking at this historic church (founded in 1865) yesterday. 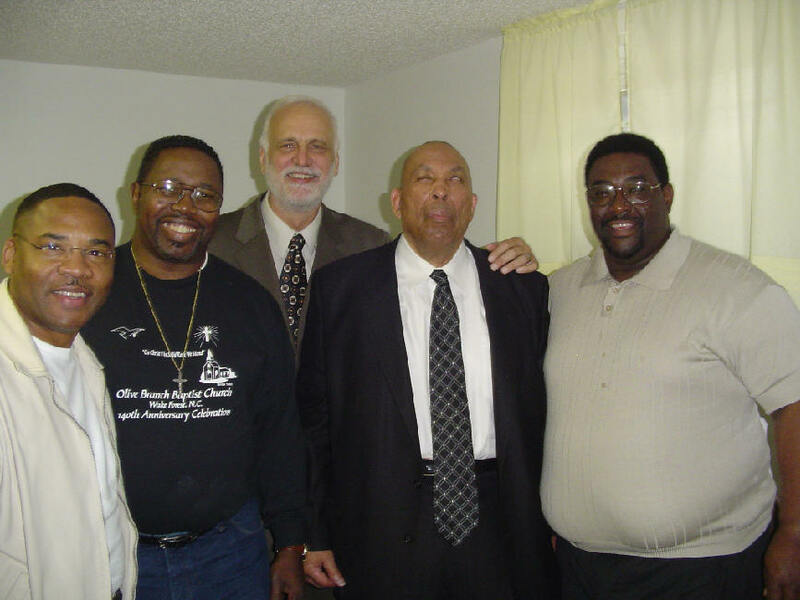 Dr. Carson (my colleague at Southeastern) and his deacons are pictured below. Yesterday was also their annual "Pastor's Big Nibble" after the service, and the ladies of the church prepared a fantastic southern-style meal that included some terrific broasted chicken and collards. I enjoyed the interaction with the congregation during my sermon and also the time of sharing they had mid-service. I wouldn't mind seeing these ideas incorporated into more of our services in keeping with 1 Cor. 14. Finally, even though expositors may continue to disagree among themselves as to the exact structure of Hebrews, there is still virtually unanimous agreement that illuminating exegesis involves an openness and receptivity to the text which are characteristic of the grammatico-historical study of the Scripture. In allowing the text to speak for itself and the author to be his own interpreter, one observes in Hebrews the literary mastery of an author who composed his magnum opus with the care of a Michelangelo working on the Sistine Chapel. This is obvious from the very first words (1:1-4), whose design is consistent with the language set forth throughout the epistle. Does not one get the impression that the magnificent prose in what Lightfoot has called "the most beautifully constructed and expressive sentence in the New Testament” is intended to express not only the general theme of the writing but its compositional genre as well? Is it not possible that the writer is attempting to declare, at the very opening of his work, that the momentous theme which he is setting forth requires a literary style unparalleled in its beauty and form? Perhaps the opening words are not an exposition but an invitation, not the apex of the composition but the narthex of a great cathedral, whose grandeur and symmetry become apparent only to those of us who will enter and attentively linger within. Not in the forcing of the structure to the surface, but in the submersion of ourselves, is there hope for the future of investigation in this fascinating area. 7:26 AM More mission news. The Dada church is a rural congregation in a 99 percent Muslim area of Ethiopia. They have had 198 new converts since August. Their congregation numbers about 300, but they have only 20 Bibles. They are now memorizing 9 passages of Scripture, and their goal is to have at least 200 people complete all 9 passages by Easter. My Richmond students were the first to contribute to this new Bible memory program in the rural Muslim-area churches of Alaba. I'm asking my friends to join me in praying for this young congregation in a severely persecuted part of the nation. Below: The elders of the Dada congregation. 7:21 AM LeTourneau University is looking for an assistant professor of Biblical Studies. 8:26 PM Check this out. Our son has been scavenging in North Carolina and found this lumber in a house built 150 years ago. I don't know how he locates these properties. I think one of his spiritual gifts must be scrounging old buildings (with the owner's permission, of course). We've unloaded these boards and he has already gone back for a second load. 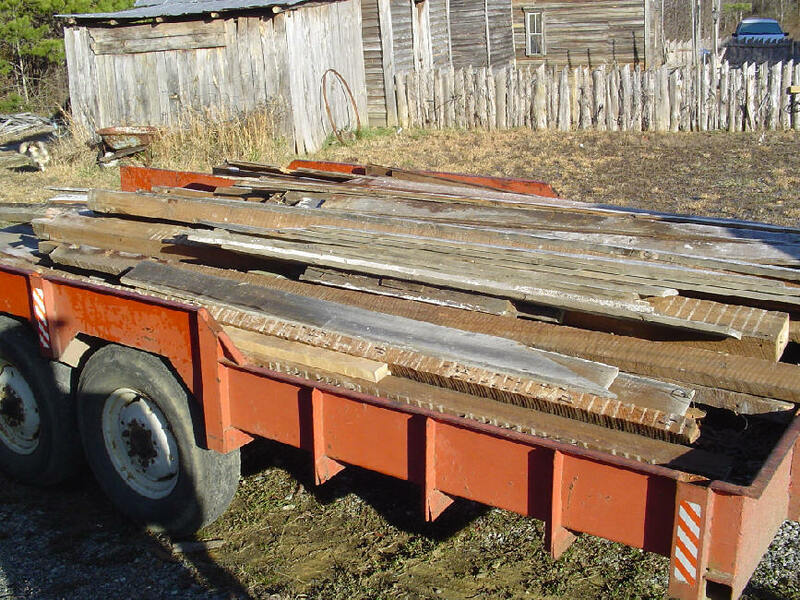 The plan is to use this lumber in building our next guest house. The weather is calling for rain on Monday so we'll be unloading lumber again tomorrow. Who knows -- I may even get a ride in. 8:19 PM Back home after a whirlwind trip. I had to run up to Richmond yesterday to teach my New Testament class. I love this part of Virginia. I can almost feel the history, it's so thick. Years ago I became involved in Civil War reenacting but I never thought I would actually live in the Old Dominion state. A good spirit prevailed at my class in Richmond. We are focusing on New Testament principles of leadership and spent time on Paul's farewell speech to the Ephesian elders in Acts 20 and his description of a Christian leader in 1 Thess. 5:12-13. By the way, we are studying the Pauline epistles in their chronological (not canonical) order and loving it. This weekend we covered the Thessalonian letters and the book of Galatians. On the write-board we analyzed the structure of 1 Thess. 1:2-5 and 4:3-8 -- and amazing patterns emerged. Let's face it: most of us never get this far with our exegesis of the text, but it sure is rewarding. Let's focus on studying the text and not what others are saying about it. Life between now and the second coming of Christ is too short to do otherwise. On the way home I had lunch with Becky in one of those restaurants with those funny little sayings posted everywhere, including this one: "There are three kinds of people -- those who make things happen, those who watch things happen, and those who wonder what happened." There's tons of wonderful insights in the text but we have to "make things happen" by reading the text and not just the commentaries. At any rate, this weekend has been refreshing in every way, thus far at least. Next up: teaching in Wake Forest in the morning and singing with our men's group tomorrow night at our fifth Sunday singspiration at a church a few miles from our farm. Good old-fashioned country gospel music -- can't beat it. At each of these services Becky and I will be reporting on our trip to Ethiopia. 11:52 AM J. B. Hood (what a great name for someone who lives in the South) has some excellent commentary recommendations on the Gospel of Matthew. Dave, thank you for that GREAT response about polygamy…. Your response is the best I’ve seen on a topic that is rarely discussed. 11:45 AM Right now I’m buried under a pile of work getting ready for my New Testament class this weekend at Richmond. The focus will be on becoming a New Testament church and I’m working on a major essay called “21 Reforms for the 21st Century Church.” I hope to finish it next week. 11:32 AM A big Friday shout-out to this overcomer. 5:59 AM Becky has just completed part two of our Ethiopian adventure. I cannot tell you how much we miss all of you there in Addis. The Lord blessed us beyond what we could have imagined during our five weeks in Ethiopia, and a big part of that blessing was your help. I would like to speak with you briefly about an issue you raised during my visit. When you say that you have converted polygamists who desire to become members of your church, I assume that the women involved are members of the man’s household, and not his mistresses or concubines (i.e., women used primarily for the man’s sexual gratification). The latter relationships would, of course, be immoral and would have to be discontinued. I’m quite sure you are referring to men who have taken, legally, two or more wives. It is my understanding that such an arrangement is a socially accepted marital unit in your culture. Of course, in Islam polygamy is a time-honored tradition and is sanctioned by the Koran. I assume that Ethiopia does not legislate against the practice? At any rate, polygamy is not limited to Africa. It has existed here in America, most notably among the Mormons, some of whom still practice it. Neither Augustine nor Thomas Aquinas taught that polygamy was in itself evil. Only if its purpose was sexual pleasure was it considered evil. But as a means of propagating the race, it was not considered an offense to God’s moral law. Luther approved of the polygamous marriage of King Phillip of Hesse, his protector, and he advised King Henry VIII of England to take another wife rather than divorce his first wife. (Henry did not follow his advice). In 1531, several of my own spiritual forbears, the Anabaptists at Muenster, Germany, became polygamous, maintaining that “he who wants to be a true Christian must have several wives.” And, as you well know, David and other Old Testament believers had several wives. So what should be the policy on polygamy among sincere Christians? (I am not referring to Christians-in-name-only.) I think it is obvious that the Bible neither explicitly advocates nor condemns the institution of polygamy (it is never listed in the lists of sins found in the New Testament, unlike adultery, fornication, etc.). In fact, it is portrayed as a divinely accepted institution in certain cultural contexts, where God apparently viewed it as a legitimate marriage. At the same time, the silence of the Bible does not necessarily give us permission to practice polygamy today. Perhaps the silence in Scripture is due to the fact that references to polygamy are almost exclusively found in the Old Testament, which, as you know from your studies, is largely comprised of historical narrative. Such narratives do not normally include value judgments or indications of God’s pleasure or displeasure. So it seems to me that we must return to the broader view of marriage that is clearly established in Scripture (see Gen. 2, Matt. 19). This is God’s standard, or we might say ideal, for marriage, and here polygamy clearly falls short. God puts one man and one woman together in marriage, and this bond is to be an exclusive one. Remember, the marital bond is a picture of Christ and His church (Eph. 5), and there is only one Bride of Christ! So to get back to your question: although monogamy is clearly and unquestionably God-established, is it the only acceptable marital institution to the exclusion of polygamy? Here are my conclusions according to the limited light God has given me. Men who are believers should not seek or be permitted to acquire a second or third wife, even if polygamy is socially sanctioned. They should always seek God’s ideal for the marital relationship. Current polygamists who come to Christ should not be prohibited from baptism. If they are Spirit baptized (which they are, according to1 Cor. 12:13), they should be water baptized. Nowhere in the New Testament is baptism conditioned on a changed life. Obedience follows as baptized believers are instructed in the ways of the Lord (Matt. 28:19). In short, although the New Testament teaches monogamy as the ideal or normal form of marriage, in my view it does not expressly prohibit polygamy except in the case of a church leader. Yet should not the qualifications for elders and deacons in 1 Timothy be traits that all Christians should strive to emulate? One final thought. In the Old Testament, there are dozens of passages where polygamy is mentioned, and it always results in trouble, jealousy, and strife. The subtle hint is that polygamy is a great temptation to evil. As you know, Solomon had 700 wives. We read in Deut. 17:17: “He [the king] must not take many wives, or his heart will be led astray.” And then we read in 1 Kings 11:3: “His wives led him astray.” How tragic! Then there is the story of Lamech in Genesis 4 (where polygamy is mentioned for the first time in the Bible), a story that implies that polygamy is a corruption of God’s initial intention of what marriage should be. Therefore, it seems to me that just as God allowed divorce because of the sinfulness of man, so He evidently permitted polygamy for a time, even though it was (and undoubtedly still is) the cause of great heartache, much like divorce. As with every issue, you must go to the Scriptures (not to what I have said or to what your church's traditions might be) and allow them to be your sole guide. I was interested to learn that the evangelical church in Ethiopia inherited its policy on polygamy from the missionaries, who were in no hurry to baptize anyone but insisted on proven candidates because their model of conversion was a total one (fides implicita was not adequate; fides explicita was required). A similar thing occurred in Korea (where I have taught numerous times). Beginning in the late 1800s a heated discussion arose among the missionaries as to the requirements for church membership and what constitutes a credible profession of faith. A key issue was polygamy. The eventual outcome was the development of rigorous demands for membership. The Methodists separated baptism from reception into church membership as a probationary measure, while the Presbyterians adopted a pre-baptismal probation of six months, known as catechumen class. Mission concerns about polygamy changed baptism from a sign of conversion to a sign of sanctification – a change that, in my view, cannot be justified from Scripture. 5:40 AM If Bush were really pro-life. I think Jim hit the nail on the head - it is the pendulum swing that is dangerous. Throwing out one set of problems for another set of problems - when the root problem is all that really needs to be dealt with - a failure to submit to Christ. If I am submitted to Christ, I learn to be content in whatever state the local assembly is in. It is not for me to fix His church, but for me to love His church. There are legitimate reasons to leave a church; but most people leave because they don't love the people in the church enough to stay choosing instead to serve their own comfort and preference. The church is cancerous - and the cancer is this: "I am here to be served" - and when that selfish attitude (bleeding in from the world) permeates the hearts and attitudes of people who are not grounded in Christ - it is fertile soil for discontentment. That discontentment grows sufficient in some people that they begin to blame the church for it, and not the worldly attitudes they themselves are embracing contrary to the Spirit of God. 5:30 AM I agree totally with Stephen Morse’s position on TV. 5:27 AM Tall Skinny Kiwi has published an interesting essay on church reformation. In fact, all 5 of his points are scriptural emphases of a biblical church (though he cites no Scriptures in the essay). 5:25 AM Over at Wood and Steel, Scott MacIntyre writes about the gullibility of evangelicals and their tendency to follow "leaders" blindly. I am becoming more and more concerned about this distressing phenomenon (among homeschoolers especially). Some of these "leaders" have huge followings (fan clubs might be a better word). Some families will even uproot themselves and relocate thousands of miles to associate with a particular person or church. Before you contemplate doing any such thing, please take a careful look at Scott’s article. It is a feast of insight for all Christians. Read The Culture of Followers. Gary Long has written a book on a topic that most people would prefer to avoid. We all know that grammar is “good for us,” but we cringe at the prospect at having to relearn everything we learned (or were supposed to learn) in grade school. Add to that the study of a second language – and one as challenging as New Testament Greek – and you have a recipe for disaster. Enter Grammatical Concepts 101 for Biblical Greek. I rate this book as four stars (out of five) because it almost achieves the impossible – it makes grammar as painless as possible. I will definitely recommend it as a reference tool to my Greek students. If anyone wants a concise, easy-to-understand definition of any given part of speech (both in Greek and English), it’s all here! 3:50 PM As both a blogger and a writer for the print medium, I appreciated this essay on the blessings of blogging. By the way, here’s an example of blogging at its best. 3:47 PM Here’s a witty ditty from Cowboyology. I too have had my share of unplanned dismounts. It’s par for the course. Oh, the fullness, pleasure, sheer excitement of knowing God on earth! I care not if I never raise my voice again for Him, if only I may love Him, please Him. Mayhap in mercy He shall give me a host of children that I may lead them through the vast star fields to explore His delicacies whose finger ends set them to burning. But if not, if only I may see Him, touch His garments, and smile into His eyes - ah then, not stars nor children shall matter, only Himself. 3:37 PM A big Wednesday shout-out to all of our new students, both at Southeastern College of Wake Forest and the seminary. I enjoyed meeting many of them last night at a reception given in their honor. Amazing how many are studying biblical counseling and are even willing to risk taking Greek to do it. My hat’s off to all of you. 3:30 PM People have been asking us, “Have you recovered from your trip yet?” Honestly, it’s been a tough transition. Becky is missing our adopted children to death but is handling it well. As for me, coming home has been a reminder of how the American church has deserted the Gospel. Don’t get me wrong. Our trip was great – sinners were saved, elders were instructed, women were mentored (by Becky, not me), miracles were witnessed. It’s sort of like Paul’s first missionary journey to Galatia, which was a huge success. But as soon as he left, the Judaizers arrived, and the church was giving up the truth. I suppose I’m going through what Paul felt or what Moses experienced when he came down from the mountain only to find God’s people worshiping the Golden Calf. The technical word for this is apostatizing, which means abandoning the pure Gospel and the cross. We all are tempted to forget sometimes that Jesus is all we need. So what are Becky and I doing? Leaning on Him, focusing on others, and trying to remember why the one true Gospel is such amazingly Good News. I find there exactly the same evils that are rampant in the world – centralized education programs, the subservience of the church to the state, contempt for the rights of minorities, standardization of everything, suppression of intellectual adventure....I see more clearly than ever before that unless the gospel is true and there is another world, our souls are in prison. The gospel of Christ is a blessed relief from that sinful state of affairs commonly known as hundred per-cent Americanism. Much more could be said, but let’s remember this: under the Christian just-war theory, a nation may wage war only as a last resort, i.e., when the nation is under attack or at least imminent threat of attack. I invite all of my neo-Orwellian friends to sit down and reread the Constitution of the United States. Meanwhile, there's no need to become despondent. Chin up and knees down. 3:15 PM Tons of last-minute details to do today. I am especially excited about teaching one of my favorite subjects, New Testament textual criticism. One of the nice things about coming back after a five-week hiatus is seeing your faculty colleagues again and getting caught up on their travels. Two of my good friends just returned from Brazil, and one is on his way back from Thailand. There’s a spirit of missions on this campus like you cannot believe. It’s going to be a great semester. 6:56 AM Our very best wishes to Rick Saenz as he begins homesteading. It's a great life, brother. The very initiation of the war in Iraq constituted a breathtaking exercise of presidential power but one that has grown so common that it is hardly even noticed or commented upon any longer except by the occasional isolated constitutionalist. For what it's worth, here's our two cents on the subject. 1) I see that Becky and I haven't been the only ones dealing with bed bugs recently. Strange, though. Our bedding contained numerous critters, but we actually got very few bites on our trip. In sum, Ehrman’s latest book does not disappoint on the provocative scale. But it comes up short on genuine substance about his primary contention. Scholars bear a sacred duty not to alarm lay readers on issues that they have little understanding of. Unfortunately, the average layperson will leave this book with far greater doubts about the wording and teachings of the NT than any textual critic would ever entertain. A good teacher doesn’t hold back on telling his students what’s what, but he also knows how to package the material so they don’t let emotion get in the way of reason. A good teacher does not create Chicken Littles. 4) Textual students, you'll want to take a peek at this blog entry about p46 and then go to the University of Michigan website and view some of the images. Fantastic. 6) Almost forget to say that only 2 of my 4 syllabi have been completed so far. I'm finishing up the others today. They'll be posted here. 7) The Common Room has posted a wonderful ode to the classics. And to think that I didn't take a foreign language (Greek) until I was a senior in college. 8) If you are prone to take your blogging too seriously, you must read this. 6:15 AM Just added to our event calendar: The Battle of Sample Farm, a Civil War reenactment at the historic Latta Plantation near Charlotte, NC, March 25-26. Our son will be calling the period dance on Saturday night. The essence of the New Covenant is the priesthood of every believer, not just a few credentialed leaders who stand between God and the laity. Each person is responsible to, and dependent on Jesus Christ to carry out the Great Commission and Great Commandment. The local church is the context in which we live out the implications of our new found identity, not consume packaged events and experiences. The whole article is worth reading if only as a reminder that the evangelical church has all but forsaken biblical principles of ecclesiology. 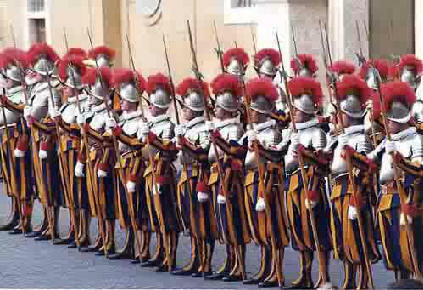 6:01 AM If you've ever visited Vatican City you've seen the colorful Swiss Guard, which just celebrated its 500th anniversary. If only we would be as diligent to guard and preserve the true teachings of our Pontifex Maximus, Christ! 7:29 PM We spent this gloomy and rainy day in the city of South Boston. After lunch at the local Mexican eatery (2 lunches for the price of 1!) my wife shopped for more eyeglasses and clothes for Ethiopia while my son and I repaired our pastor's fence, trimmed his trees, and raked his leaves. Tomorrow I will be on campus for the new students' reception and on Wednesday morning I will be advising all of the incoming Advanced Biblical Studies M.Div. majors. On Thursday I teach my first class of the new semester and I can't wait to see my beginning Greek students again. I began teaching the one-day-a-week Greek course several years ago to help out our commuting students, and they in turn have risen to the occasion. Meeting only once a week has its drawbacks, but even so, over 1 out of 3 students in that class receive a semester average of over 100, so it must be working. We will launch directly into the second half of our grammar, then pause for a review of the entire indicative mood. The big question, of course, is: Who will receive the first "110 Award" this semester? 7:05 PM I am, I confess, not sure whether Becky and I will go and see The End of the Spear, not because we are disinterested in the story it tells, however. My father-in-law attended Wheaton College with two of the movie's heroes, and I have long respected that generation of young collegians who felt called to the foreign mission field. 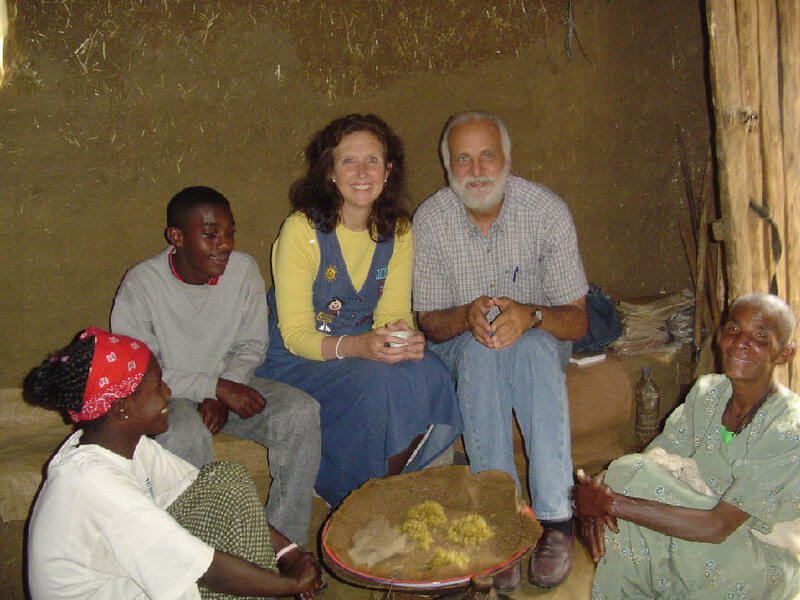 Mom and Dad's efforts led to the birth of the church in southern Ethiopia, and members of that church remember them with deep gratitude, for they made Christ known in places where otherwise His name might not have been heard or His salvation appropriated. That generation of missionaries sacrificed their families, their earthly comforts, and many of them their health so that the nations might be redeemed, that relationships might be transformed, and that people everywhere might find abundant life, the life we believe Christ came to bring (John 10:10). They stand as a ready reminder to our own generation that (as Lausanne put it) God "has been calling out from the world a people for Himself" in order that He might "send His people back into the world to be His servants and His witnesses, for the extension of His kingdom." Thus, whether or not one sees The End of the Spear, we must never forget the contribution to world evangelization the missionaries of that generation made -- despite (at times) their glaring weaknesses, their ethnocentricity, their American-style hymns and catechisms and covenants. 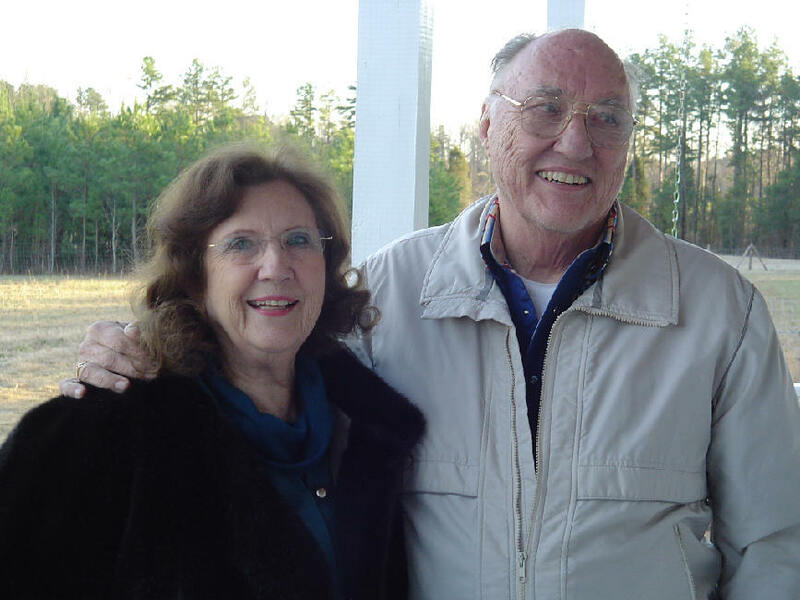 Mom and Dad, your eldest daughter gained from you (and I from her) a realization that the "unfinished task of evangelism" will only be completed when the church has brought the Good News to bear on the totally of God's fallen creation. For this we shall be eternally grateful to you and to God. May the Lord bless you and keep you. 8:29 AM Becky has written the first installment on our Ethiopia trip. It's called Ethiopia Report (Part 1): Addis. AMEN! to your article. I never cease to be amazed at the lack of Biblical qualifications possessed by so called "deacons," "elders," and in some cases, pastors concerning their abilities to teach the Word. One of the qualifications mentioned is that they should be "apt to teach." In my opinion, a man shouldn't even be considered for the position of deacon or elder unless he teaches a Bible study. And "pastors" who read a couple of verses from the Bible and then go off on a tangent completely diverse from what they read should be "defrocked." TEACH THE WORD! That's what Paul told Timothy and I'm sure he got that instruction from the Lord. Amen? Have a great Lord's Day. 8:17 AM Did Jesus have a Boston accent? 8:15 AM Textual Criticism students! Check out this introduction to the discipline over at theBible Dudes website. 8:07 AM Yesterday was Baptist Men's Day. In my opinion, far from being an encouragement for men to assume their God-given responsibilities in the local church, the event actually perpetuates the deplorable distinction between "clergy" and "laity." It has been said that this distinction is the "great demobilizer of the saints," and I tend to agree. As long as one man is viewed as "the minister," the other men in the church will scarcely challenge -- indeed, they may hardly even be aware of -- the unscriptural attitudes nurtured by the false clergy-laity division. I would that every Baptist man take earnestly his responsibility as a minister and reject once and for all the notion that Christian ministry is the work of a few professionals! 9:07 PM Here’s a question I’ve been asked lately: “Why are you and Becky so involved in missions?” We see ourselves, quite simply, as stewards, not owners, of all that we have. We got out of the ownership business a long time ago. Jesus has become Lord not only of our individual lives but also of our marriage, our home, and our loyalties, affections, and obedience. We have come to realize that the call to follow Jesus involves a submission not only to serve Him but to serve other people as well (2 Cor. 4:5). We view not only our possessions as His but also the gifts, special abilities, and talents with which He has endowed us. At the same time, the Lord Jesus has given us in recent years a new motivation for living – to develop all of our resources and skills to the full in service to Him and to people. In describing what is involved in Christian stewardship, our Lord said that the foremost quality He expected from His disciples was faithfulness (Luke 12:42-48). A faithful steward is simply one who has given up his self-interests and is absorbed with his master’s purpose, goal, and concerns. He is trustworthy with his master’s goods, and he uses all of his master’s resources in the most effective way he knows how in order to achieve his master’s objectives. From the point of view of his involvement with his fellow man, the Christian steward’s lifestyle is one of sacrificial living and sacrificial giving in order to contribute to both evangelism and social relief. He views his faith not just as a private bank account but as public property that has to be shared through proclamation and service. The Lord Jesus claims the first place in his life, and he submits to Him and to His authoritative teaching in a life of obedience. Do Becky and I still lay up for the future in view of our anticipated needs? Yes. But we also seek to function as channels through which the love and provision of God can flow to others. We have found this love to be needed not only in our culture but supra-culturally beyond our own borders. We believe that it is the nature of the Christian’s call to participate in the work of the Spirit in the world, always having an eye to the needs of others. Becky and I consider ourselves as a part, not only of our local congregation, but of the universal church as well. And, though we identify most closely with the western church, we recognize that no church is self-sufficient. Thus all true churches – east and west, American and African – should develop with each other relationships of prayer, fellowship, ministry, and cooperation. We should freely share our spiritual gifts, our knowledge, our experience, and our financial resources. Together, we try to do what we can with whatever resources we have in order to share the love of Jesus with others, for love is a language that is understood in every nook and cranny of the world. Coming tomorrow: Part one on our trip to Ethiopia. 9:41 PM Miscellaneous bedtime musings. What a wonderful day it's been. Nate and I drove together to Wake Forest and had lunch at a Chinese buffet before parting ways -- he to go and help his uncle repair his deck, and I to attend to school business. On the way home we stopped by an old farm in Carolina to retrieve a 1900s pump organ from a barn. It barely fit into the back end of the van but we managed to get it home. We arrived after dark, with Nathan going out to feed the chickens and I giving the cattle, goats, and horse some extra hay to help stave off the cold. Although we are only 60 miles from Wake Forest the temperature drops off dramatically between there and here. I just polished off my nightly bowl of pop corn, the puppies eagerly helping me, of course, and now it's off to bed in anticipation of Men's Day at our church tomorrow. Africa is still very much on our hearts, and we anticipate at least 5 reports. Meanwhile I plan to ride Traveler just as soon as the ground dries. General Lee once said that his afternoon ride was essential for the health of both horse and rider, and I have sorely missed my outings on horseback. I saw plenty of skinny, starving horses in Ethiopia, but these are literally work horses. (We've got lots of pictures of our travels, and you are invited to drop in and see them at any one of our reports in the various area churches.) Only 5 more days until the beginning of the semester, and I sensed a spirit of excitement on campus today that the Lord will do a great work among us this year. "Have I not commanded you? Be strong and of good courage; do not be afraid, nor be dismayed, for the LORD your God is with you wherever you go" would make a good motto for all of us (Joshua 1:9). Have a good night, wherever you are. 7:44 AM Over at Christ, Family and Republic, Ryan Setliff wants to know why Christians are so complacent about the evils of statism. It's a question I've often pondered. I think group-think is a big part of it. We go along to get along. It takes courage to stand up to tyranny, especially when it masquerades as beneficence. I believe, however, that God is raising up a new generation of humble Americans who see compassionate conservatism for what it really is -- socialism -- and are committed to returning, at least in their own households, to constitutional and biblical values. It's a long, tough, road, but a rewarding one. Keep on keeping on, Ryan, and so will the rest of us. 7:38 AM The unrest in Ethiopia continues. Your prayers for this beleaguered nation are appreciated. 7:32 AM The latest addition to our home page is called Stonewall Was Right. 7:10 AM Albin Huss of Calvary Baptist Seminary offers a critique (.pdf) of modern approaches to New Testament textual criticism. I tend to agree that we have reached a stalemate and that it will take a new generation of textual scholars to take us beyond the current impasse. We will be discussing this issue in detail in our course on textual criticism this semester. 6:11 PM The weather has been perfect for working outdoors. Below you can see the progress we're making on the barn extension. We plan to build a hipped roof on the corner. The farm is doing great, thanks to our son's care. We currently have 7 fully pregnant goats (thanks to Rusty). They're too heavy to run so they just sort of waddle at top speed when you call them. Trav is as eager to be ridden as ever but the ground has no traction due to the recent rain (and you all know how we like to ride, don't you?). Well, every doctor needs patience, right? 9:03 AM My thanks to Elgin Hushbeck for sending me a copy of the revision of his bookConsider Christianity. I joined Dallas Willard in endorsing the book by writing: "Much is at stake today in defending the Christian faith against its numerous detractors and in presenting its major truth claims to open-minded seekers. This timely book shows how Christianity is 'rational, reasoned, and relevant,' and does so without using distracting jargon. I highly recommend it." It's available at Energion Publications. 8:55 AM My wife has gone to the grocery store to stock up our now depleted fridge. I hope the food prices don't shock her too much. It is very inexpensive to eat out in Ethiopia, and the dollar has been gradually rising against the Ethiopia Birr for years. A good meal at an Ethiopian restaurant might cost 30 dollars to feed 11 or 12 people, including soft drinks (these tend to be the most expensive items on the menu). We rarely had to eat out, though; our hosts saw to it that we were very well fed. I don't think I put on any weight this trip, but I didn't loose any either. What really seems odd is eating with utensils instead of one's fingers. I really miss the meals in Ethiopia, which are grand social affairs that can stretch on for an hour or more. 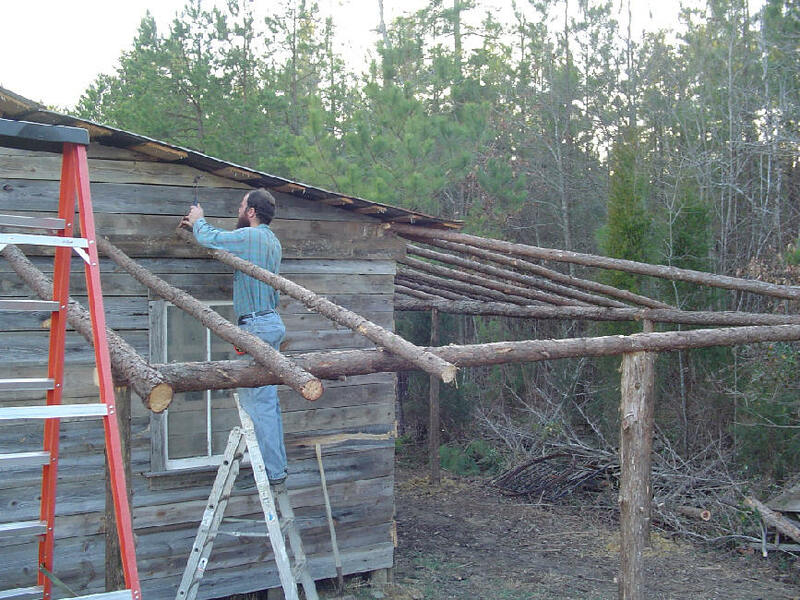 This weekend will be very busy as we try to complete the new shed and as I try to finish my syllabi. I usually have these completed and posted to the seminary website long before the start of the semester. This time I will be getting them done just in time. If you are a student, thanks for your patience and understanding. 6:44 AM The latest addition to our home page is called The Great Need. I would like to congratulate you on writing an excellent article about General Lee. Thank you for not neglecting General Lee's Christianity, as is so often done. Also, thank you for pointing out some of the fallacies of Gettysburg. Too many people think that movie is historically accurate, much of it is far from being factual. In ten lifetimes I could never be the man the General was, but his life is a constant reminder to me of what God can do through a person who is yielded to Him. I look forward to posting my thoughts about General Jackson tomorrow. 6:23 AM As we ate popcorn last night I thought to myself, why is it that Ethiopians can make it so much better than I can? They have no electricity, no running water to clean their pots with, no microwave ovens, yet their "Fandisha" is terrific. Amazing. 2:24 PM Becky just talked with our sons Samuel and Bereket in Addis Ababa. Bereket's surgeon says he well enough to go home. He leaves next Tuesday. He will be returning to live with his mother Enquahonich and sister Ashageru in their hut, so we are buying him a mattress and pillow and a blackboard so that his sister can teach him the Amharic alphabet. We are also getting them a much-needed milk cow. Their animals stay with them in their hut at night. We are so excited about and proud of Bereket. At our last meal together on Monday night he gave a wonderful testimony of the Lord's love and grace. He is returning to a very dark place spiritually, but he is determined to be a witness among the largely Orthodox population of his village. Please pray for this precious young Christian as he makes this adjustment, that he would bring great joy to his Savior and Lord. Here's a picture taken during our visit to Bereket's hut last year (left to right: Ashageru, Bereket, Becky, Dave, Enquahonich). 8:34 AM What a wonderful readership I have. I just checked my stats for 2005 and noticed that DBO had 2,323,544 hits between February 19 (when our new server and stats counter went up) and December 31. We also were blessed with100,000 unique visitors. I feel very humbled and honored that so many of you would take the time to read our musings. I have many faults, but ingratitude is not one of them. Thank you. 8:04 AM Just finished a cup of coffee with my Ethiopian bride in -- where else? -- the Lee Room, enjoying the gorgeous sunrise the Lord Jesus sent us this morning and reminiscing about our trip. It hardly seems possible that just this past Sunday we were in our traditional outfits preaching and teaching in the Muslim town of Alaba. We can't wait to fill you in on the details of our trip, but first we have to upload the pics to our computer and make a few important phone calls to Ethiopia to tie up some loose ends. Bereket is scheduled to return to his village in Gonder within the week and we need to complete arrangements for that. He is on fire for the Lord like you can't believe and is growing (spiritually and physically) like a weed. His eyesight is also gradually improving. Our hearts are so full at this moment that we can hardly contain ourselves. Today the plan calls for Becky to unpack us and for me to get started building a barn extension for one of our hay balers, but sleep may be more important. Either way, it's good to be home. 6:56 AM Today our home page features our essay How Tall Was Robert E. Lee? Yes, it's the general's birthday. For younger readers, Sean has an excellent book idea. 1) It was good to fellowship again with our friends at Averett Baptist Church. When we sang "where duty calls or danger, be never wanting there" I thought of our many friends in Ethiopia who are facing severe persecution this very night. 2) Walked the farm today and checked up on all the animals. Held Snowball in my arms for the first time in five weeks. I'm not ashamed to say that I love my animals. Jesus knows His sheep by name, and they hear His voice and follow Him. 3) I think the hardest part about missions is leaving the people you love so much. Our eight Ethiopian sons and one Ethiopian daughter are missing us sorely tonight, and we them. All of them are single and some are getting a bit anxious about finding a mate (one is 37 years old). On our last evening together I gave them four words to remember: Patience (don't get ahead of the Lord in this matter; wait on Him and for Him); Responsibility (focus on what the Lord has called you to do, and He will bring your spouse into your life at the right time); Ask (we have not because we ask not; ask and you shall receive; be specific -- pray for a wife just like the one described in Titus 2 or Proverbs 31); Yield (the Lord Jesus will not reveal His will to us if we are not committed to obeying it; if your calling is to be single, accept it). The acronym formed by the four words (PRAY) was to remind them that Becky and I are interceding for them daily. No matter who the leaders of the church are, they are still sheep, not the head shepherd. If the leaders do not lead the church to follow Jesus, then the church should not follow them. They should also never select leaders that are not good at following the shepherd, leaders that Christ has not chosen. The goal always for all leaders and the congregation is to follow Christ. I spent weeks speaking on this very topic in Ethiopia, where abusive models of pastoral leadership are rife. Over at The New Testament Roundtable, Mark Owens links to his favorite commentaries on Ephesians. I tend to agree with Jim that Barth's two-volume Anchor Bible Commentary is still the best. By the way, I studied under Barth at Basel and can still remember how detailed his lectures were, without using any notes whatsoever (Barth could barely see even with powerful eyeglasses). It's that same detail and independence of judgment that I enjoy so much about his Ephesians commentary. So relax O Greek guru. I love you and appreciate you. Keep parsing those verbs and figuring out those participles. Just watch the exegetical fallacies; someone will eventually call you on it. Oh yes, and if you ever start a sentence with, "What this really means in the Greek is...." you can rest assured that you are most likely going to say something redundant, silly, and conceited. Keep up the good work, gentlemen. 2:31 PM They've finally moved in. Congratulations, Jay and Ruthanne. 2:29 PM Recent openings in biblical studies include: Tabor College (Bible) and Azusa Pacific University (Old Testament). 2:15 PM Darrell Dow has some interesting recommendations for the New Year, including "Shut down Dow Blog and pick up a book." Sorry, Darrell, but that's one suggestion I won't follow. If you haven't read the Dow Blog in a while, you are missing some excellent commentary on cultural and political issues. 1:53 PM My friend Lee Shelton has an excellent post on the gospel according to Robert Schuller. You can read it here. 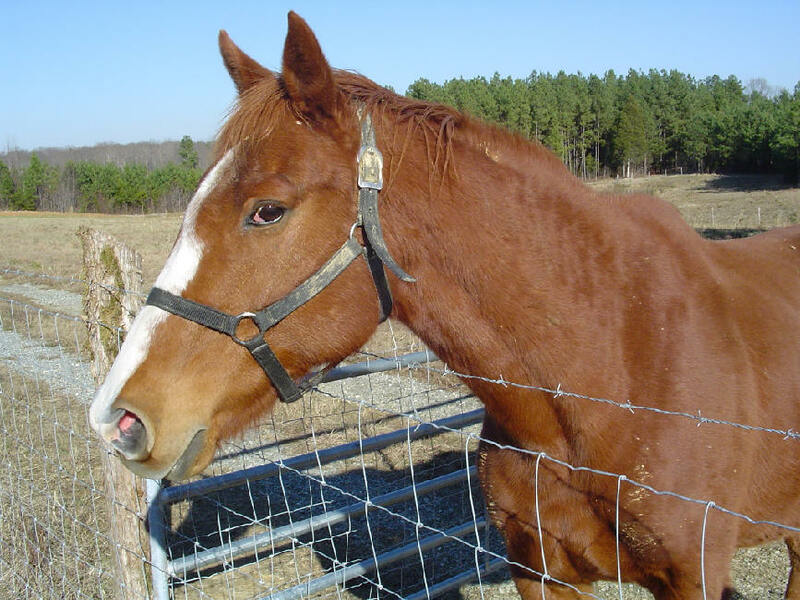 ministry and is looking for several good usable saddles for horses which can be donated to the Lord's ministry in Kentucky. 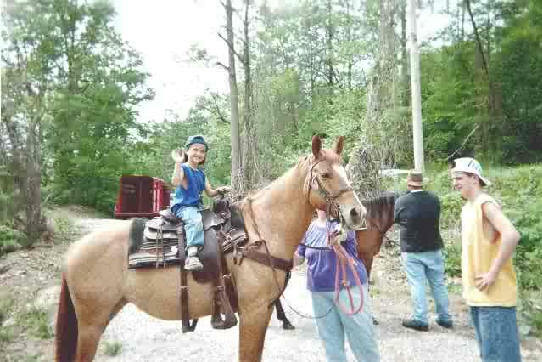 His desire is to use horses for rehabilitation purposes for young children and adults in the name of Christ. If you know of anyone that can donate any good usable saddles please have them email me or call me. If you can help, write me for contact information. I am donating an English saddle. "Alito Not Pro-Life; Voted To Overturn Ban On Partial-Birth Abortion Which Is Infanticide." "Alito Says Pennsylvania's Pro-Life Law On Medicaid Abortions Too Strict; Didn't Allow "Physical, Psychological" Exceptions." "Specter Says Alito Accepts As "Good Law" Griswold Case Which Was Neither "Good" Nor "Law" And Gave Us Roe v. Wade." Welcome home from Ethiopia! I just wanted to say thank you for your ministry in Africa, for the solid teaching on your website, and for your example of farming alongside your family. I appreciate how everything in your articles points to proclaiming Jesus as our Lord, and encourages our living in such a way that demonstrates our allegiance to, and service for, Him. It is wonderful that the two of you have the desire and ability to travel and do missions work for part of each year; and it is a blessing to see how closely you work together as husband and wife. It is a rare opportunity to be able to work on a farm in Virginia as well as at Ethiopian villages and universities. Thank you for your testimony, which you share in your writing and on your blog. Special thanks to Lady Carmon for posting our prayer needs while we were gone. Margaret (of Mostly Harmless) published an especially touching prayer. You can read it here (scroll down). Your prayers were answered in a mighty way, Margaret. One more thing: I plan to be in my office later this week, probably on Friday, so if you are a student and need a signature to get into one of my classes I will sign your forms then. My syllabi for the spring semester should also be posted by Friday afternoon. Can't wait to get back into the classroom. 1:02 PM My son sent out this email while I was gone. I thought it had some good advice for anyone wanting to taste the difference between store-bought and free-range eggs. 9:17 AM We're back. Plopped into bed this morning at 1:00 am after a 34 hour journey. The Lord put us to sleep with the patter of rain on our roof. We're weary but happy. Had a wonderful trip in every way. The Lord did "above and beyond," as usual. You will simply not believe what we witnessed and experienced. As soon as we unpack and get caught up on emails I'll begin my reports. You can expect lots of pictures.